This Houston personal injury and car accident law firm was founded by Michael P. Fleming, Former Harris County Attorney, to provide representation in matters of serious personal injury matters. Mr. Fleming is Board Certified in Personal Injury Trial Law by the Texas Board of Legal Specialization. Michael P. Fleming & Associates, P.C. will represent your Personal Injury legal matters. Licensed as an attorney in Texas and New York. Also licensed as a solicitor by the Law Society of Ireland (Authority which licenses Irish solicitors in the Republic of Ireland). 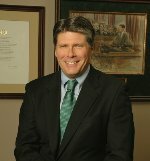 Former Harris County Attorney (Elected 1996; Re-elected 2000). Listed in, Who's Who in the World, Who's Who in America and Who's Who in American Law. Member, Board of Directors, University of Saint Thomas. Member, Board of Directors of Harris County, Houston Sports Authority. Former Member, Board of Advisors, Incarnate Word Academy. Founding Director, Irish Society of Houston. Former Director and Co-Chair, Harris County Housing Authority. Houston and New York State Bar Associations; State Bar of Texas; College of the State Bar of Texas; Texas Association of Civil & Appellate Specialists; Law Society of Ireland. Christensen v. Harris County, 529 US S 76, 120 S.ct. 1655, 146 L.ed.2d 621 (2000); Brothers v. Klevenhagen, 28 F.3d 452 (57th Cir. 1994).